Sequence Logistics built its first freezer in Hammarsdale, KwaZulu Natal, during 2008. In 2010 it rented freezer space in Joburg, expanding to Cape Town in 2014 as well as adding a second phase to the Hammarsdale freezer. 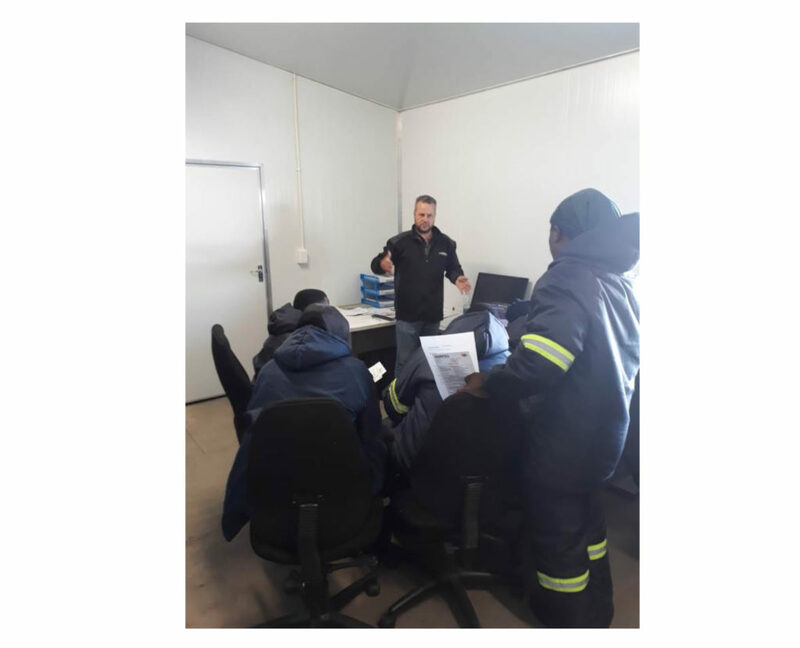 As the strategy of providing refrigerated storage, both primary and secondary refrigerated transport, case picking and stock optimisation services proved successful, Sequence decided to build its own freezer store to service the Gauteng area. The mobile installation with cascade control and front cantilevers. The hanging frames have yet to be installed in this picture. 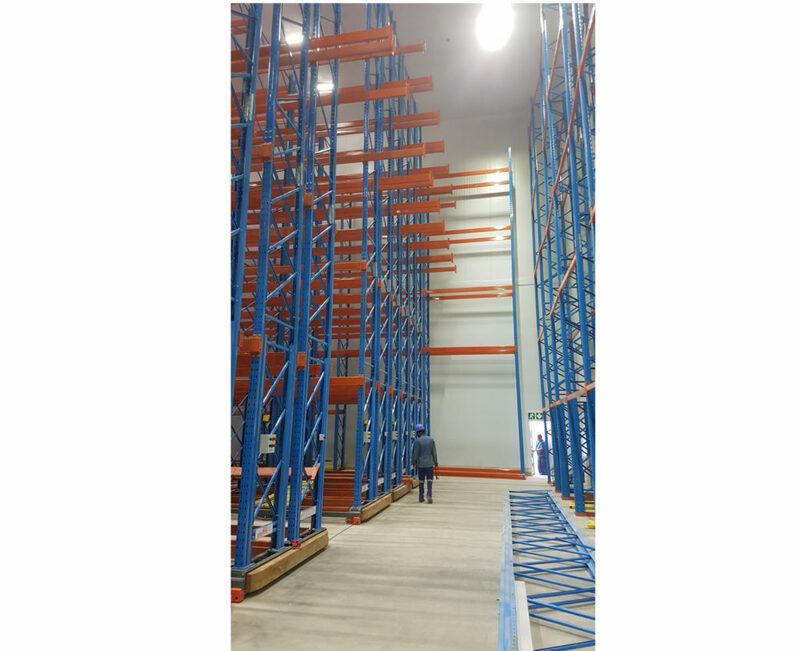 The store, situated at Aeroton Johannesburg is equipped with a combination of mobile racking for storage and static racking for case picking and order make up. 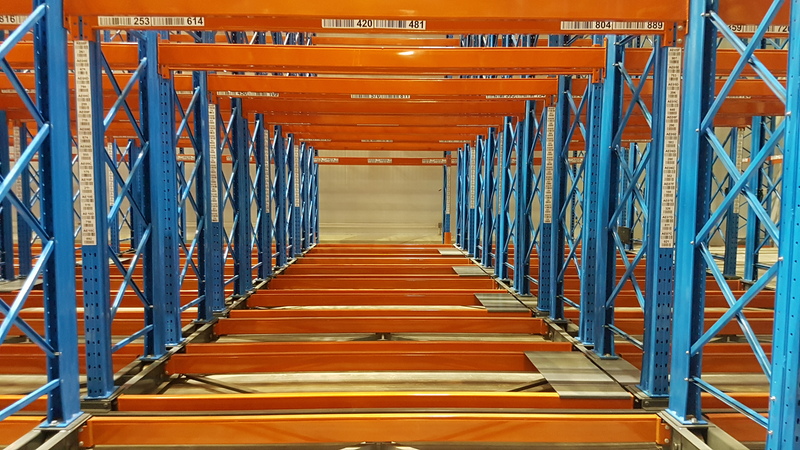 Barpro, together with Universal Storage Systems, designed and installed the Storax mobiles and fixed racking to suit the Sequence requirements of storage and case picking. 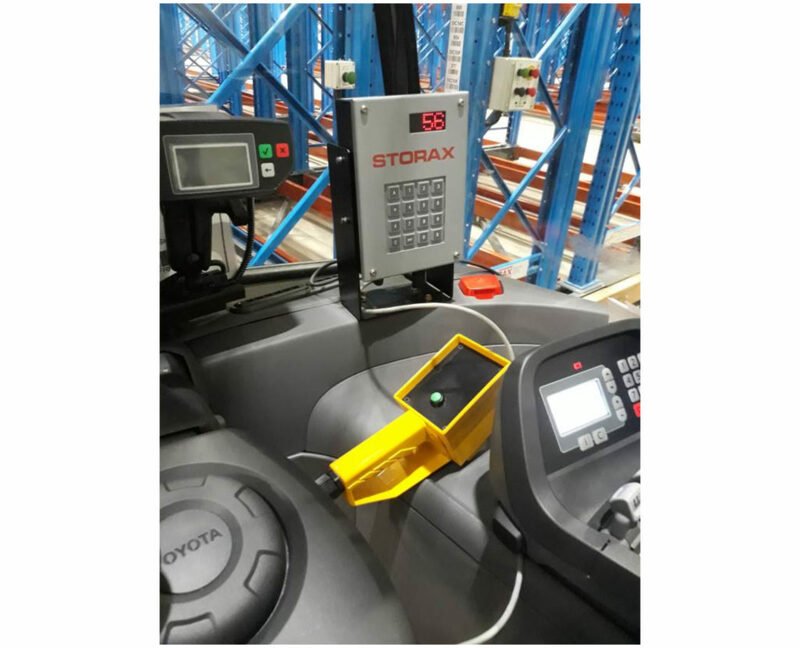 Equipped with cascade control it includes the ability to move the Storax mobiles remotely from inside the heated cabs of the reach trucks. Additional features include aisle light switching and night park which spaces the Storax bases out at night for better cooling. The Storax bases have 6 pallet levels each suitable for a 2000mm high pallet weighting 1200kgs. The total base weight when fully loaded is just under 400 tons, the same as an airbus A380 800 on take-off and is driven by 5 Nord electric motors with a maximum current of 5 Amps, about half the current it takes to boil an electric kettle. The aisle light switching function switches on the lights in the open aisles. Even with LED fittings this saves electricity by significantly reducing the number of lights on at any time and also reduces the heat load on the refrigeration system. Inside the heated reach truck cab. Note the radio remote key pad to open the aisles as well as the yellow aisle clear scanner which can only be used in line of sight. Safety features include fixed photoelectric beams which stop the mobile in 20mms when the beam is broken, double PE safety beams across the front of each mobile bank to prevent pedestrians stepping into a moving aisle and yellow aisle clear scanners which clear the aisle in line of sight before the bases can be moved. Each base has emergency stop buttons which are hard wired to the control panel. 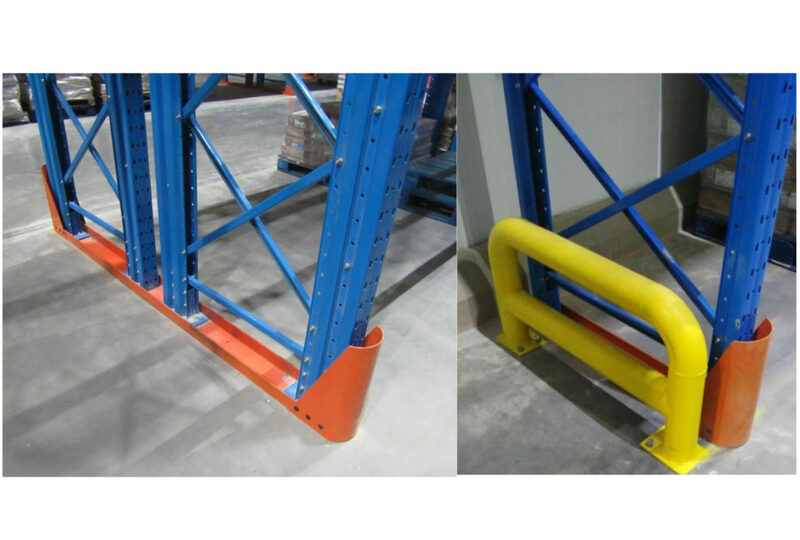 The racking on the mobile bases which is designed for the dynamic loads is well protected by the base structure from forklift impacts. On the fixed racking, frame protection is essential. Sequence requested heavy duty frame protection on all static uprights. Additionally, bollards are installed to protect the racking from side impact in the door areas and tunnels through the fixed racking in the case picking room. Barpro always suggests that wooden bumpers be installed on the front guide wheel unit of every mobile as they prevent damage to both the wheel unit itself and the rack mounted push button stations. From a general design perspective, there was a conscious trade- off between capacity and operational capability. 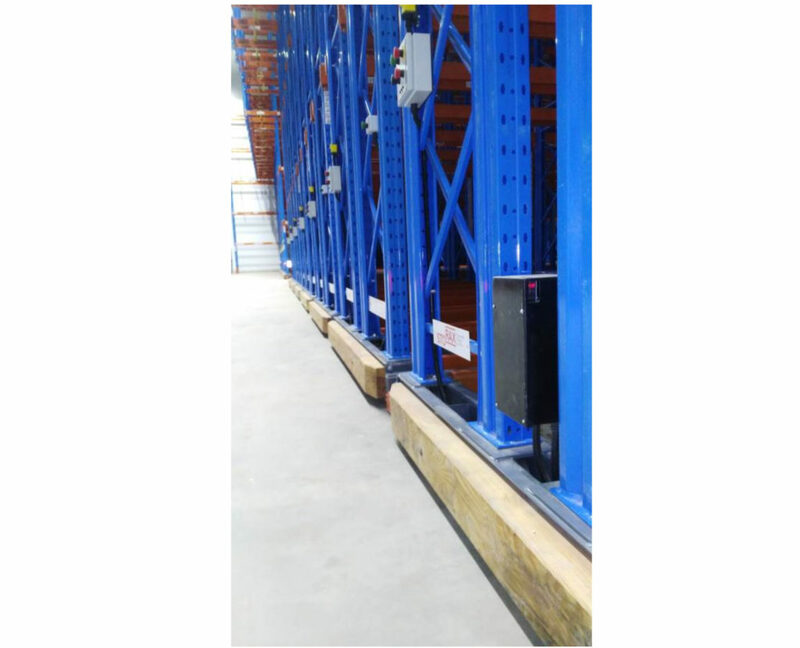 Mobile aisles are wide enough to allow easy turning by counterbalanced trucks, rack bay clear openings are generous and gangways have sufficient width allow access to the fixed racks while leaving sufficient space for high volume product movement. The front and rear cantilevers were installed on each base adding additional pallet locations. Rear cantilevers also create an escape route and safe access for servicing the rack control panels. When Storax systems are handed over to the client, part of the procedure consists of formal training for the various levels of user. All aspects are covered including opening and closing the aisles and fault finding. Barpro also encourages users to sign up for a Service Level Agreement. SLA automatic inspections identify any problems early and prevent costly downtime later on. 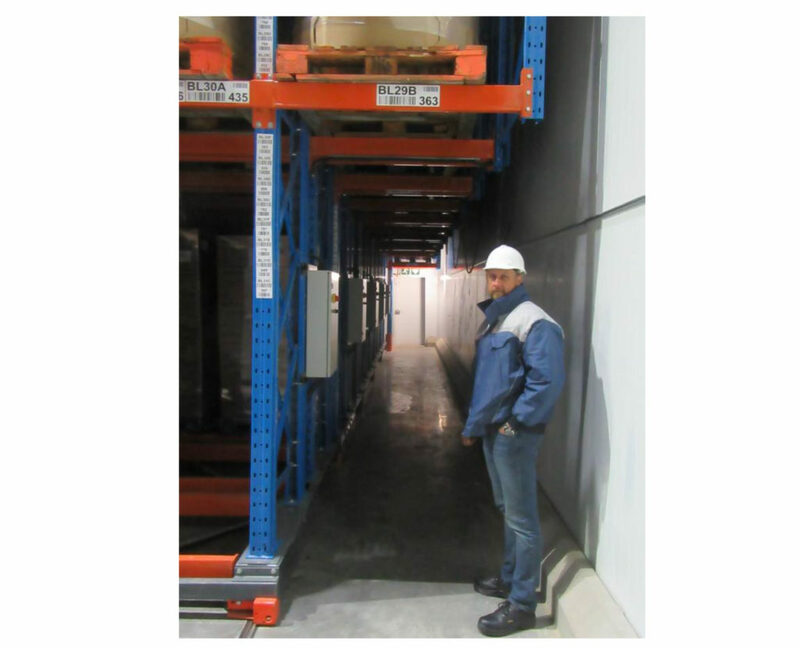 Need to optimise space in your storage facility?